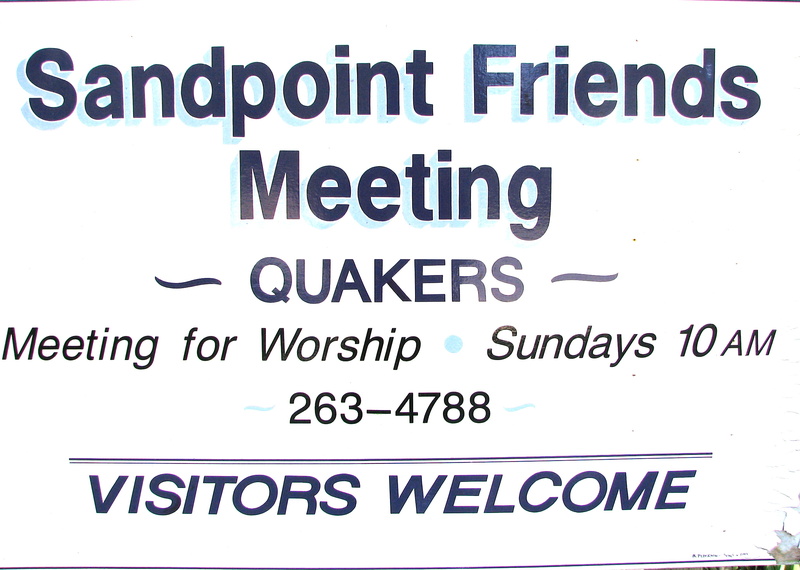 Our Quaker Meeting for Worship takes place on the basis of silence, and is un-programmed. We gather in a circle, still our minds, open our hearts, and settle into a reverent and expectant silence to wait upon the Light. We believe that in this opening of our hearts to God, we are contributing to the common worship of all present, as well as to our own renewal. We have no minister, as we believe the Light is directly available to all, and all may minister. This time may pass in silence, or individuals may be moved to speak briefly out of the silence. Leaving a space of time between each person speaking allows the ministry of each to be respectfully heard. Located at 1025 Alder Street, Sandpoint, ID (see: Map), we meet Sundays at 10 am. After Silent hour, snacks and refreshments are served, childcare is provided as needed. Sunrise photos of Lake Pend Oreille courtesy of Kirk Miller. Each Sunday after Meeting for Worship, we have a different activity for our “Second Hour”. Joe Snyder is going to present a program on his work in Guatemala on Dec. 3 at 7 in the Meeting House. Open to public. Please note: We won’t have any Meeting for Worship on Sunday, Dec. 25. We will, however, have our regular Meeting for Worship on Jan. 1.